So often in life and especially after the first of a new year, we focus on the start, the beginning as a chance to find new hope, new beauty. Its easy to find beauty in the fresh and clean and new but can you find it in decay? Can you find the beauty in slowly, gracefully fading away? To things that no longer serve you? As much power there is in hello, there is in goodbye. 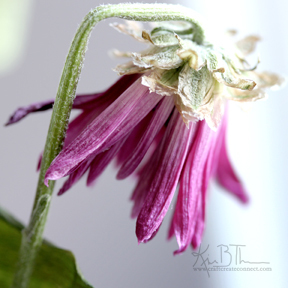 And hubby, I think maybe I need some new flowers to photograph to get me through the winter!